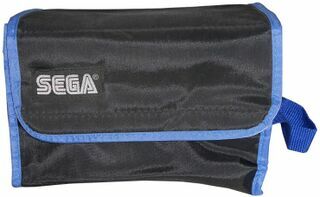 The Cartridge Soft Pak is a bag created by Nuby that is specifically designed to carry eight Sega Master System or Sega Mega Drive game boxes. The accessory was officially endorsed by Sega in North America and Europe. Cartridge Soft Paks also exist for the Nintendo Entertainment System (for cartridges, not boxes).